Sometimes, the most satisfying purchases are the ones that cost very little but provide years worth of value. 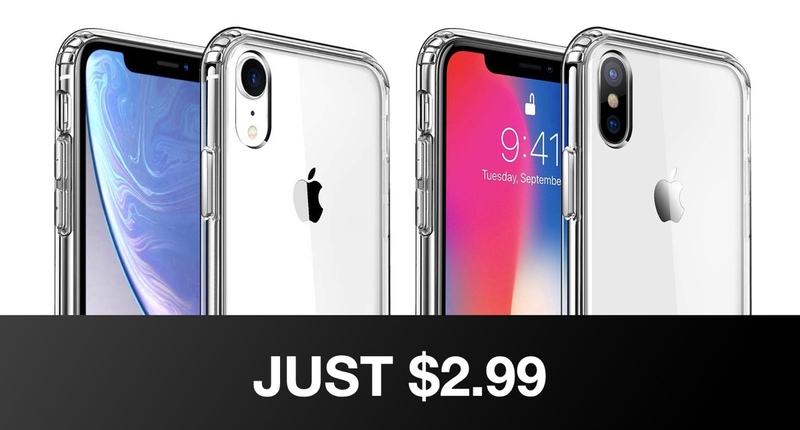 With that in mind, we are very happy to be able to give you an insight into MKEKE iPhone XR/XS Max protective cases offered for as little as $2.99 shipped! You may have already invested in one of Apple’s iPhone XR or iPhone XS Max when the Cupertino-based company first pushed the smartphones out into the market. Or, you may have been extremely fortunate to have someone who likes you enough to have spent that kind of money on you over the festive period in order to gift you one of Apple’s latest devices. Either way, now that you have the device, it makes perfect sense to take the necessary steps to protect it against scuffs and day-to-day damage. That’s where these cases come in. So, now that you’ve been enticed, let’s fill in the blanks. Both cases are manufactured from flexible TPU materials and come with scratch-resistivity and additional protection in case the device is suddenly dropped. They have also been precisely designed and cut to ensure that they fit iPhone XR and iPhone XS Max with extreme accuracy, which means that all cut-outs and cable entries are accessible and entirely usable without any force or additional faffing required. The wireless charging aspect of the devices should also be honored with these cases in place so you are also good to just slip the hardware onto your wireless charging pad or stand as normal. All-in-all, when you take into account the cost, this is a remarkable deal. You can definitely purchase other more robust cases that will protect against all sorts of things but for this level of protection, you definitely aren’t going to get a better deal from a more trusted manufacturer with a plethora of lifetime 4 and 5-star reviews. Grab them right now from the product links above.